Mystery is afoot at Castle Malloy! A groom has disappeared and the townsfolk are whispering of a malevolent banshee! Are ghosts to blame, or is it merely a case of cold feet? Immerse yourself in the haunted legend of the Emerald Isle, gathering clues and information from the terror-stricken wedding guests. 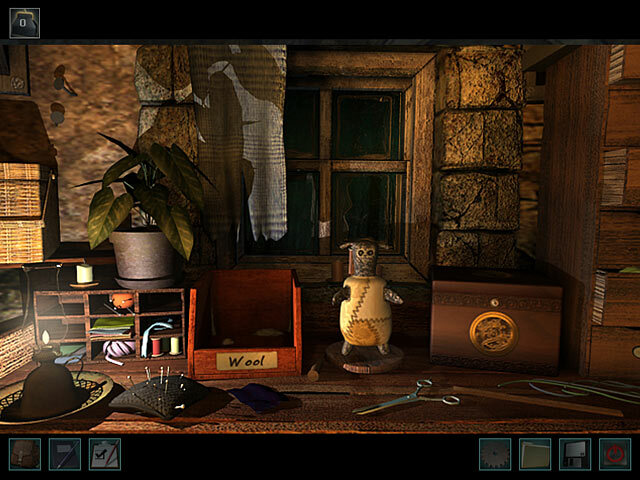 It's up to you and Nancy Drew to unravel the mystery in this chilling adventure game. Nancy Drew: The Haunting of Castle Malloy is rated 3.8 out of 5 by 20. Rated 5 out of 5 by Arthur1775 from Most interesting Nancy Drew game EVER!!! You are going to a wedding for your close friends wedding... on the way just as you see the gates... a ghostly white, glowing figure with long flowing hair dashes in front of your car! You swerve over into a ditch... you can see the gates are in walking distance! What was that!? continue this adventure... If you like: Rockets, secret underground labs, missing persons cases, ruined weddings,fortune telling machines, shady butlers, and crazy family history, this is the game for you! I hope you enjoy it as much as I did!!! Enjoy!!! Rated 5 out of 5 by 6287 from Mr. Some very good ideas to this game, truly thrilling till the very end. The rocket part was a bit of a complex issue but fun throughout and really enjoyed. Puzzles were very challenging and very different but overall good. Rated 5 out of 5 by TraeTrae from Great Game I really enjoyed this game the accents are great, the ghost story is awesome. The map isn't huge but there are lots of places to explore. It's challenging but you can beat this (I believe in you). The task are fun and when you get to sheer the sheep you can tell the developers have a sense of humor. This game was just great. Rated 5 out of 5 by 4Les from Nancy Drew games are the best these are very fun games. One just has to remember that they are also played as you being Nancy. Lots of mini games. Hint: use your mouse to scroll over everything you see. Sometimes you will have to write things down to remember what you are supposed to do. Rated 5 out of 5 by luxa1324 from Loved it! 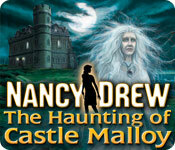 The Haunting of Castle Malloy was an excellent addition to the Nancy Drew series. The puzzles did boarder on the line between challenging and too hard, but the clues are there for you to figure it out and if all else fails there's always an online walkthrough. The storyline was interesting and the graphics and music immersed you in the story. Wonderful game. Rated 5 out of 5 by greatlakes12 from Very Fun and Challenging I really loved this one I thought it was fun and the story line was interesting too. If you love Nancy Drew games then you'll love this one too. It was spooky at times and involved a lot of thought but it didn't seem impossible when you really thought about it. I defiantly recommend this game, I don't understand why people didn't love it. Rated 5 out of 5 by Emerald_Storm from Good challenge level Though the game seems to be a bit older, it's very in depth and loaded with puzzles and logical problem solving issues. Be prepared to work puzzles - you can NOT skip puzzles with this game. You will have to slog it out, or look up a solution online. (Most are rather doable - give them a try - isn't that why we buy these games?) You can earn help and hints through the fortune teller machine inside the castle, though it costs three lucky coins. Don't worry - you can get more coins by working at the bar at the inn downtown. The navigability isn't as high as in games made today, however, it is still very good. You will still explore the castle, though the interior isn't very large in terms of exploration. Don't judge on that - there are plenty of things to find/do all over the castle, as well as on the castle grounds. Even in Junior detective mode you are really going to have to think outside the box to decide what to do next, where to go, or how to get past a particular obstacle in the game. No one gets a free ride in a Nancy Drew mystery! And, quite frankly, why would anyone want to? You get a lot of challenge for the money you spend with this game. Rated 5 out of 5 by Rescue_helo from Very immersive, truly gripping, highly challenging. This time, our young sleuth, Nancy, flies all the way to Ireland to attend a friend's wedding. But nothing ever goes as expected with her -else there would be no mystery to unravel. As she approaches the castle, a ghostly figure pops up in front of her car and she ends up in a ditch. Walk, walk, walk.... Once at the castle she is told the groom is missing. Needless to say that Nancy starts investigating without delay. No, I will not reveal more, that would spoil your fun. Let me just add that the storyline is based on Celtic folklore and is pretty enthralling. As in all her adventures, you can choose between 2 Modes: Junior Detective and Senior. The latter is a lot more challenging, though the former is never easy. Nancy [you for the occasion] will interact often with the different characters; she needs to talk to them to gather clues. Reading books and documents is also important for the same reason; they also provide a lot of interesting information on Celtic legends and the history of the Malloy family. Exploring the different locales and collecting inventory items are two of her fundamental tasks. The decor is, as usual, extremely well conceived and crafted, quite impressive actually; the interior of the castle is wonderfully rendered giving the impression you are in a real one. And all the tasks, even though quite a few are not obvious, are good fun. 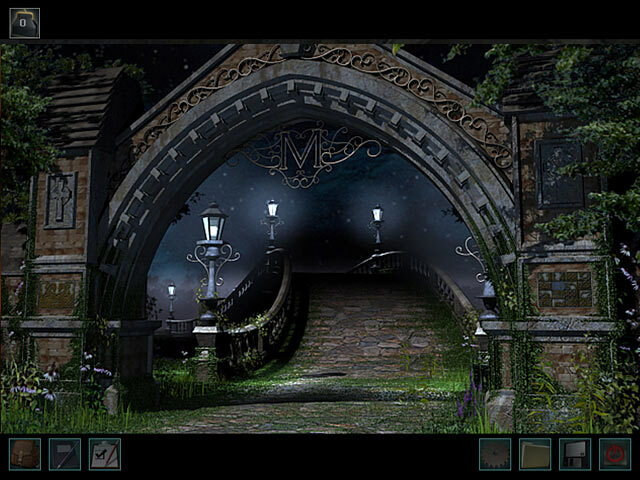 Another strength of this investigation resides in the puzzles and minigames. Some of these minigames are timed, but if you fail once, you can try again as often as necessary. In the end you're bound to win. In everything she does, she needs to be creative and think out of the box. One reason why a Nancy Drew investigation is never a piece of cake. Another reason is that no puzzle is easy. They also differ according to the level you choose; they are harder on Senior Level. I enjoyed that 19th intallment from start to finish; I loved the eerie atmosphere, how the characters react to your questions, their answers, collecting clues one by one, reading, the series of creepy events that spice up the adventure, the tricky puzzles, the fun minigames, and the surprises. Yes, in every one of Nancy's adventure there is at least one surprise showing how much imagination the developers have, how much work and originality they put in each time, and how well they master their art. Castle Malloy is a challenging RPG which grows on you as you progress in the game. I can only recommend it and encourage you to play it. 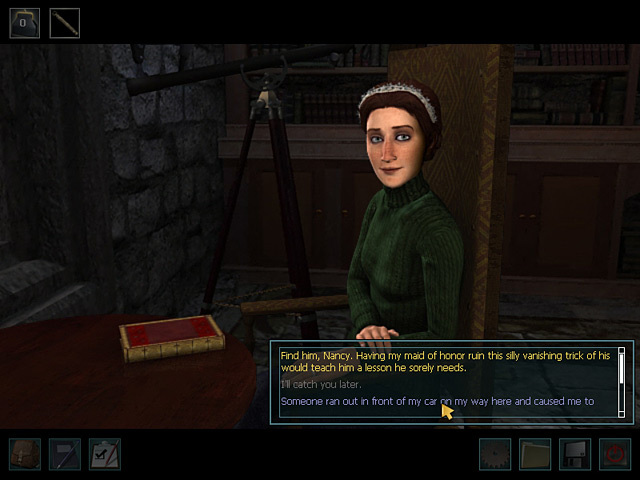 Note: The tutorial at the beginning should not be skipped if this is your first Nancy Drew. Mystery is afoot at Castle Malloy! Unveil a ghostly legend and find the vanished groom in this chilling adventure game!